Featuring a new design for 2016, the Black Diamond Couloir Harness is a lightweight, packable climbing harness for mountaineering, ski mountaineering and technical glacier routes. The Black Diamond Couloir Harness packs down to the size of n grapefruit and can be easily stashed in your pack, while the ultra-lightweight Fusion Comfort construction is extra comfortable and reduces pressure points, even if you’re wearing lots of layers. 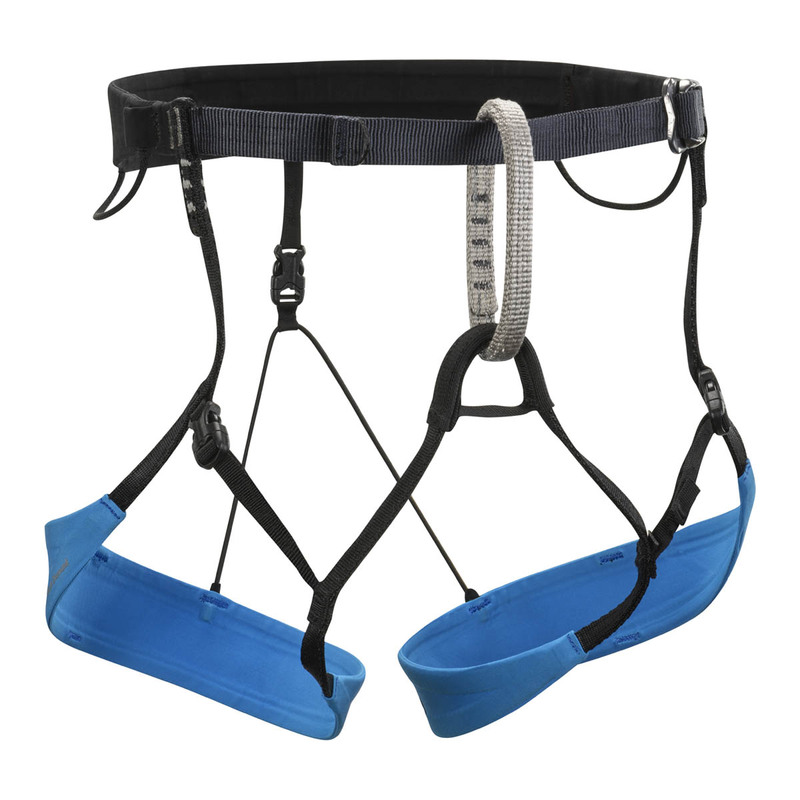 This feature-packed harness also has speed buckles for easy ons and offs while wearing ski boots or crampons, ice screw slots in the leg loops for minimal clankage and four ice clipper slots for maximum racking capabilities. A top choice whether you’re a skier who needs to do the odd rappel into a line or a mountaineer travelling over glacial terrain. MATERIALS Synthetic webbing and outer fabric with EVA foam padding. Three strands of webbing distribute weight evenly, even over heavy layers, while an EVA foam insert provides extra padding where you need it most. Combine this with quick-drying mesh and a stretch-woven outer fabric and you have a harness that’s incredibly comfortable and moves with you while you climb. Two webbing gear loops, four Ice Clipper slots and two ice screw slots in the leg loops mean you can rack-up with as much or as little gear as you like.